When I was small worry beads used to irritate me. When my father played with them in South Africa the concept jarred with the Anglo-Afrikaans culture. It just did not seem the done thing. He did not always tick the beads and swing the komboloi; he went through phases. Before he left for Greece and on his return he played more, but in Greece he had one every day. After all, when in Rome do as the Romans do. Everyone plays with worry beads in Greece. They have so much to worry about, after all. Most religions have prayer beads. The Catholics have a Rosary. The Muslims have the Misbaha, with ninety nine beads corresponding to the ninety nine names of Allah. The Buddhists and Hindus have the Mala, to guide them in repeating their mantra. The Greek Orthodox have wool knotted prayer strings, σε κάθε κόμπο προσευχή λέω, which are used by bishops and priests and less common amongst the laity. At every knot I say a prayer. The number of beads is a multiple of four plus one. The komboloi may be a corruption of κόμπο and λέω. But in Greece today and in the 20th century it is and was a tool of pleasure and distraction, seen in Rebetika taverns and coffee shops. It is the sign of a manga. Manges were the counterculture, the punks of Greece in the late 19th and early 20th century. Today the term is used loosely for a cool dude, someone who swaggers and is over confident. So thinking about the history and my father’s scorn for the Rembetiko I wonder how he got around playing the komboloi. It is a sign of being truly Greek, no doubt. He used the small metal beads, although the classic komboloi is made of amber. 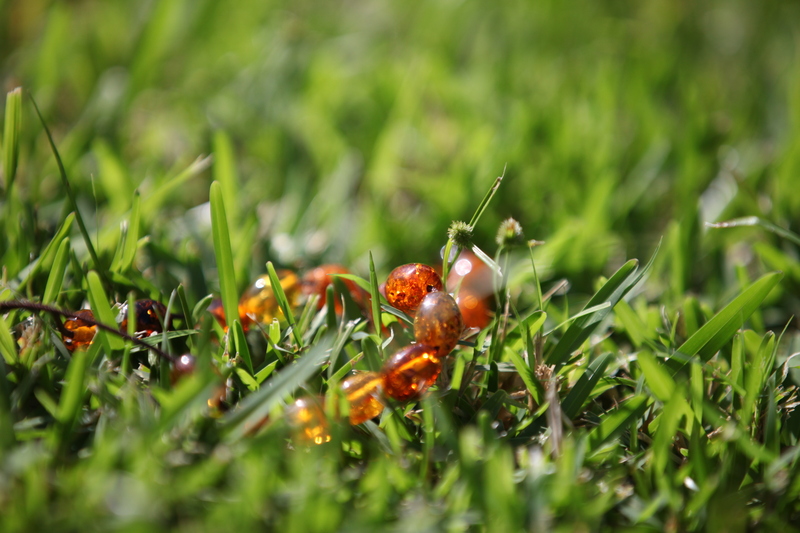 Antique amber elevates the worth of the string and beads. When the Komboloi Museum Shop opened in Nauplion my father bought me a hundred year old komboloi. The amber is a rich honey orange with streaks of black that light up in bright sunlight. The beads are smooth and not cold, with one having a rough hemisphere. The anchor bead, or priest, is slightly bigger and the komboloi ends with a small tuft of string. I do not play the komboloi. I am not a manga. But a circle closed this week. I was watching a video by Robin Sharma, who is the cool manga who wrote “The Monk who sold his Ferrari”. He was offering tips for the New Year. One of them was to use worry beads. Not one hundred year old antique worry beads, but any cheap bead or bean and count each one as you toss the loose bead into an empty glass. I smiled, and last night after a trying day at work I saw my komboloi in the corner of our kitchen where odds and ends are stored. I picked it up, rubbed the glowing amber and counted off each of my worries. After twenty four plus one I laughed. My worries are chained by a loop of string, and have been lit up by the glowing amber of the Byzantine world. Delightful! A classic example of how wisdom of age brings appreciation.